Iran’s President Hassan Rouhani has urged clerics from his country to be more tolerant of the internet and new technologies. In a speech broadcast on Iranian television, Hassan Rouhani said it was vital that the younger generation had access to the internet. 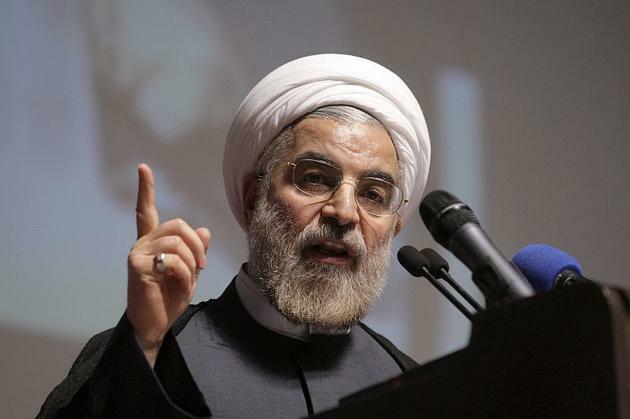 President Hassan Rouhani, who was elected in 2013, has vowed to support greater media freedom but has faced opposition. Last week, prominent Iranian cleric Ayatollah Makarem Shirazi said mobile internet was “immoral and unlawful”. Conservative clerics oppose introducing mobile broadband services, saying they allow immoral images to be shared freely and more easily. In recent weeks the government has awarded 3G licenses to three mobile broadband companies, but experts say the proportion of Iranians using the service is still low. “If we do not move towards the new generation of mobile today and resist it, we will have to do it tomorrow. If not, the day after tomorrow,” he said. Iranians will be waiting to see if the president’s latest statement of intent produces real change in the face of the usual resistance. Iran’s government cracked down on media freedom and internet access after widespread protests against the country’s leaders in 2009, banning online services like Facebook, Twitter and YouTube. Since then, many Iranians have grown used to bypassing censorship controls by using proxy servers or other online tools.